Side-scrolling action game Sengoku is set to be released on the Wii Virtual Console service this coming Thursday, July 25th. As per, this was originally a Neo-Geo game. Sengoku is generally well regarded and spawned a further two sequels, Sengoku 2 and Sengoku 3. As rare as hen's teeth, today Europe has a Virtual Console update on Wii. The Last Blade 2 is a sword-slashing fighting game from the Neo-Geo days, first published by SNK in 1998. The Neo-Geo platform gets more than its fair share of love from Nintendo's Virtual Console for some reason, and today is no different. Shock Troopers has you playing as a mercenary on a highly dangerous rescue mission. 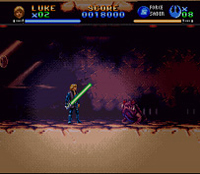 The gameplay style is run-and-gun, very similar to Commando and games of that ilk. As the Wii U launch draws ever nearer, the original Wii's Virtual Console isn't exactly seeing a deluge of new oldies to download. There's not a great deal for us to update the site about. Europe got their hands on Neo-Geo beat 'em up World Heroes Perfect today. The latest game in the US is The Last Blade 2. While we're all massively excited for the release of the Wii U console in November, there is one piece of news putting a small damper on things. It turns out that Virtual Console games won't be playable on the Wii U GamePad screen. Why Nintendo has made this choice is unclear, but it would have been nice using the secondary screen and not needing the TV on to play all our classics. In another piece of news, it's possible the Wii U will have a catalog of GameCube titles for download at some point. Nintendo of America's President Reggie Fils-Aime was asked about this recently and said he would love for it to happen, but had no announcements to make at this stage. Today VC downloaders across North America are treated to a missing piece of a puzzle, in the brawl 'em up The King of Fighters '96 ('94, '95 and '97 were already available). Some people would have you believe that this one is the best in the series. Personally I have no clue. I'm a little late posting about this one, but a new Neo-Geo game hit the Virtual Console on Thursday. It's 2020 Super Baseball, a futuristic sports game, which I gather includes human players and cyborgs as well. There's some slight confusion on whether this game is called "2020 Super Baseball" or "Super Baseball 2020" but I'll let you decide. Watch out Abobo, the brothers Billy and Jimmy Lee are back to kick you in your big face! I'm talking about the NES classic Double Dragon II: The Revenge, which is out now on Wii Virtual Console (in North America). Nintendo seem to have upped their game a little this past week or two. This continues with the release of the 1994 SNES hit Mega Man X2, available on Wii's Virtual Console across the US today. X2 was brought out by Capcom in 1994 and the title is quite highly regarded. Have you played it? Looks like Nintendo hasn't completely given up on the Wii Virtual Console just yet! Fans of fighting games from the 90s can bask in The Last Blade from SNK, downloadable in the US as of today. Some other VC-related news has also surfaced from the E3 expo in Los Angeles. When the Wii U console eventually comes out, you'll be able to transfer your existing Virtual Console games onto it! Let the good times roll. Well, that was a long week (laff). Releases on Wii's Virtual Console service have slowed down a little, the latest ones available are the arcade version of Wonder Boy in Monster Land, and for Europeans it's Metal Slug 3. If you want to submit a review of any game on the Virtual Console get in touch! It's been a long while, but we're finally back and ready to update for you! If you check your VC store today you'll find yourself tantalized, what with the update of the NES classic Shooter (again...) Star Soldier. If shooters aren't your thing, check out either Dynamite Headdy on the Genesis for your platforming needs, or if puzzlers are your kind of game, Drop Off is something worth checking out for 600 points on the TG-16. Happy Monday everybody! We have another WiiVCDb Virtual Console update for you to peruse. This week's update brings us two NES titles and one TG16 title. Lets start with the TG16 entry, Air Zonk is a sequel of sorts to the Bonk series of games. This title brings us an EXTREME version of the lovable Bonk character named, you guessed it, Zonk. This new mascot was a sign of the times, and probably a direct result of the popularity of the edgier Sonic character in relation to Mario. Anyways, Air Zonk is a side scrolling shooter this go around, straying away from the platforming of the earlier titles. It's a decent game to check out, if only to see how mascots have changed through time as marketing took a stronger hold in the games industry. So this week Nintendo brought us a collection of more obscure titles, I'm hoping that they have some triple A titles for us coming down the pipe. I guess I've been spoiled with the great releases of the past couple of weeks! Enjoy your week, we'll talk again next Monday. Well first off I'd like to wish all the Canadian visitors a belated Happy Canada Day! For you Americans, Happy Independence Day! Nintendo doesn't take breaks though, and they have 3 games ready for your downloading pleasure. This week's update gives us 2 sequels and a TG16 shooter! By the box art in this post you guys can see that our first title is Super Mario Bros 2 for the NES. Join Mario, Luigi, Toad and the Princess in this adventure to save the Dream World. This was a decent platformer back in the day, and is still enjoyable today! Our second sequel is Ecco: The Tides of Time for the Genesis. This sequel to Ecco the Dolphin takes you on another adventure through the ocean. Our TG16 title for the week is Dragon Spirit. In this unique shooter you actually play the role of a dragon in your quest to defeat the Evil Demon of Darkness, Zawell. This was a favorite of mine in the arcades, and the TG16 version was the best home conversion. So there you have it, another week another batch of great games to play on your Wii's Virtual Console. So are you guys enjoying the service so far? What games are your favorites, and which would you like to see? Let us know in the comments! It's Monday, and you know what that means, Virtual Console release day! This week's update brings us 2 TurboGrafx-16 games to make up for no showing last week, and a single solitary NES title. For our NES release this week we have NES Open Tournament Golf just in time for Father's Day (well, almost). Take on the role of Mario or Luigi and hit the links in this sequel to the classic game Golf. I have many fond memories playing this game with my friends growing up. It's simple, but engaging enough to make it fun. Well worth the 500 points if you enjoy arcadey golf games in my opinion. Up next is a pair of TurboGrafx-16 games, World Sports Competition and Bloody Wolf. First off World Sports takes you to the Olympics where you can compete in 18 Olympic games. Events like Archery, Rowing, Track events and the Javelin will keep you busy as you aim for the gold medals. Our second release on the TG16 is Bloody Wolf. Take on the role of a commando and battle through the side scrolling stages in your attempt to rescue the president. I'm a sucker for these side scrolling shooters, and I will finally have my chance to play this one seeing as I missed it the first time out. So this was not a bad week for VC games, but one has to ask... where are our N64 games, Nintendo? Well well well... Look at this. It's Monday, and here you are again... Welcome back! It's good to see that you've come back, and just for that, WiiVCDb has a special treat for you. This week we present to you not only Lode Runner, a NES classic full of puzzles, treasure, battling buddies and the first ever map editor on the NES, but we also have Golden Axe 2 for the Genesis, the sequel to the smash arcade fantasy beat-'em-up. While it's more of the same, what with its three characters, mounts and magic, Golden Axe II isn't likely to disappoint, since it's such a fun game anyway. For all of you TG-16 fans out there, this is a really special week for you. Oh yeah, what could it be? Sorry, TG fans, but you got ripped off this weekend in favor of Sonic the Hedgehog 2, the amazing sequel to the Sega system seller. The bright and colorful world returns as Sonic and Tails hunt down Robotnik, again, in search of the emeralds in this crazy fast upgrade that you've got to get. Here's hoping for Sonic and Knuckles in the coming weeks... just not for another 800 points. It's a decent week kiddies, despite the lack of anything TG-16 related, but there's a wholesome batch so dig in. Have a great week, and see you soon. It's a monumental Monday for Nintendo today- Four new Virtual Console games hit the virtual shelves today. Inclusive we've got another great looking TG16 side scrolling shooter called Dead Moon. Pick up this one, and you'll be defending Earth against Armageddon and an alien invasion. On deck we've got Milon's Secret Castle, a music based platformer with tons of unlockables and secrets to go around. On the Genesis side of things, our old buddies Toe Jam and Earl are back in ToeJam & Earl in Panic on Funkotron in another heavily music based game where the lovable heroes will be snagging up human-folk and sending them back to Earth. Zelda 2: The Adventure of Link for the NES. Nintendo is celebrating their 100th Virtual Console release with a treat- the classic NES Zelda game that took the franchise in a new, more action oriented direction. Encountering people to talk to, and a more side-scrolling based method of combat you'll use to help save the Princess Zelda are a couple of the new and interesting features in this week's must have. There's no added price for the game, as it rests at a measly 500 points- you owe it to yourself to pick this up, you'll have a surefire blast with it. If you're torn between any of these solid games, Zelda is at least one game you must have on your console. A defining moment in the series (not CDi defining, but defining nonetheless) made for some fantastic gameplay, and it awaits you for a minuscule five bucks. Just in time for this Memorial Day weekend, if you live in the US that is, Nintendo has a fresh batch of old classics for us to download and play. This week brings us one true classic, and a couple games that I'm not so sure of. First off ActRaiser is a classic game that everyone owes it to themselves to play. I can still remember renting this game for the first time when it came out in 1991, and I fell in love with the gameplay. You take on the roll of a god who has been stripped of his power who is battling to end the reign of the Evil one and reclaim his past glory. 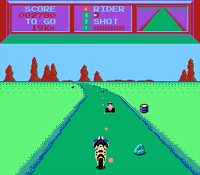 The game takes place in 2 ways; Action and Simulation modes. Action has you playing a side scrolling beat-em up, while Sim mode has you building up a town ala Sim City where you have to help out a small town encouraging the populace to worship you. If that wasn't enough to sway you Actraiser also has what some consider one of the best soundtracks in any game. Check it out, it's well worth the 800 points. Rounding out the release this week is a Genesis and TG16 title, Kid Chameleon and JJ & Jeff respectively. While these may be overlooked this week due to ActRaiser finally being made available, they are sure to offer your some enjoyment on this long weekend. It's great to see the VC lineup being fleshed out with some of the more quirky titles, as well as the hidden gems that you may have missed on the first go around. The VC is getting hot, and will only get hotter! Have a great long weekend guys, see you next week. Another Monday, another 2000+ points down the drain... but not without good cause, of course. Seeing as how you've likely beaten (Ha ha ha! Beaten!) your way through the first Streets of Rage, why not go on a maniacal rampage in its successor, Streets of Rage 2, for the Sega Genesis? You know you'd love to thwomp some hooligans again, and it's multiplayer, so have at 'er with a buddy. If the street-thug-beat-'em-up isn't quite your genre (you're a weirdo) you can always go to the good ol' SNES Platforming with Donkey Kong Country 2: Diddy's Kong Quest, also multiplayer! Oh, those jungle hoppin' primates... How they love their gold coins and bananas. Now if you're not in to either of these genres, clearly, the only available option is space-shooters. Well here you go, a once Japan exclusive Turbo title is now available for you to download, so hit up Blazing Lazers and get your shootin' on. It's a diverse week folks, so you have a wide variety at your disposal today. Go hard, and enjoy. Well it looks like the VC will start your week out with a hearty dose of Ninjas and pills! This week brings us 2 NES games and one TG16 game, also 2 Ninja games and one with a pudgy pill popper who is afraid of ghosts. Without a doubt the star this week will be Ninja Gaiden for the NES. This is an old favorite of mine, and I cannot wait to dig into the side scrolling "This Ninja will Kill yah!" adventures of Ryu Hayabusa again. If that isn't enough Ninja goodness for you, Ninja Spirit is right there waiting for you. Ninja Spirit is also a sidescrolling Ninja platformer that sadly didn't get the love it deserved, it's fairly decent though so check it out if you need 2 doses of Ninja goodness. Finally, if Ninjas aren't your thing you can always download Pac-Man for the NES. This is a fairly accurate port from the arcade classic, and will surely give you hours of Pac-Man pill popping pleasure. That is unless you decide to wait for one of the plethora of Namco Museum titles that are sure to follow. By the looks of things we missed a news post last week... doh! For those who weren't aware last week's VC releases were Final Fight, Mighty Bomb Jack and Ordyne. There is plenty of gaming out there waiting for you, be sure to let us know what games you've downloaded and enjoy! Well, well well, it's that time again! Virtual Console Monday for the week of April 23rd has dawned, and you can now boot up your slick white Wii and download Battle Lode Runner for your Virtual Turo-Grafx 16. This game was previously only available in the Land of the Rising Sun, so I hope this is a surefire sign that we'll be getting more old games coming stateside. Along with that you can pick up the really cool looking Genesis title, Wonderboy in Monster World, a hack'n'slash RPG abundant with upgrades and the like. Along with these you could also pick up Gradius 3 today for the Super Nintendo. Everyone loves some good sidescrollin' space shooters. Overall it's a really good week, so you might want to consider buying some more points. Enjoy your games this week everyone, and play safe! Today is the week people. Stop reading and go get points. I will wait here. Good. Now go buy Punch Out! (featuring Mr. Dream), right now. Yeah baby, that's right, friggin' PUNCH OUT! If that kind of punching doesn't suit your fancy, how about Virtua Fighter 2 for the Genesis? Be warned, it's not what you think it is, so check out the images on our VF2 page. Not into a punch/kick deal? Bonk is back too. Yes yes, that fiery tempered balding caveman infant is back to rock your world, in Bonk's Revenge. All of this will run you exactly 2000 points, that's a meager $20 USD! Come on, you know you want to! It's a violent week, but it's okay, it's full of really, REALLY good VC games. Enjoy kiddies. This week's VC udate brings us one title for the NES, GEN and TG16! On the NES we have Galaga. This is a classic arcade title, and the home conversion for the NES was quite decent. Our Genesis title is Alex Kidd in the Enchanted Castle... this is a strange title, and for most not worth the points. Alex Kidd was always a second rate on the Master System, the Genesis port sadly wasn't much better. On the TurboGrafx 16 this week we get Bravoman, an interesting platformer where you use your telescopic limbs to kill the flood of enemies. Interesting week, but one has to ask... where is Punchout? The UK and Japan both received Punchout earlier this month/last month but it is oddly absent on the NA Virtual Console. C'mon Nintendo, we are itching to take on Glass Joe, Don Flamenco, Bald Bull and Mr. Sandman! Where are the UK/EU games!? This is a question that we get here quite a bit. After seeing the site listed in NGamer issue #9 (Hello NGamer readers!) I wanted to mention that UK/EU game listings are coming, just taking a bit longer than expected. I launched this site with just the US games because we needed to launch, but fear not.. we love all gamers equally. If you guys have any other suggestions on how we can improve things here at the Wii VC Db, please let us know! Another Week another VC Monday! It's strange, I can't remember EVER looking forward to Mondays before, but the Nintendo Wii has sure changed that! After last week's anemic release, Nintendo has come through and brought us 3 great games to help us while away the hours. This week sees the release of Dragon's Curse for the TG-16, Star Fox 64 for the N64 and Teenage Mutant Ninja Turtles for the NES! Personally I'm very excited about the prospects of playing Dragon's Curse. I owned a Sega Master System way back in the day and Wonderboy in Monsterland was my absolute favorite game on that console. Dragon's Curse is the sequel to that excellent title, and I am salivating at the prospect of finally playing it. TMNT is also a great if not damn impossible game for the NES. Should I pick up that one first or not.. hmm.. decisions decisions! Enjoy your VC Monday guys, let's hope for another great release like this one next week. This week was limited, but we have Koei's mega hit Romance of the Three Kingdoms IV: Wall of Fire. It's a slick little strategy game, but is really slow paced. It's a slow week all around I guess. One release that you may want to try before you buy- this is NOT everyone's cup of tea, believe me. Enjoy your week guys, we'll see you Monday! Another week, another wad of cash in Nintendo's pocket. All three of this weeks games are just awesome folks. We've got the Sega classic action RPG Beyond Oasis, we've got the adrenaline fueled, custom design filled Excitebike for the NES (Oh, yeah, finally!) and after long last of rumor speculation, we have the much anticipated TG-16 masterpiece Splatterhouse. Slice and dice your way through a mansion to save the girl as a Jason Voorhees wannabe? Absolutely. Drop points on all three of these folks. You've got a really busy Monday ahead of you with your new Virtual Console titles. Since you're done reading, if you've got a minute feel free to subscribe to the Wii VC Db Release List feed. It's Monday morning and you know what that means... NEW VC TITLES! Nintendo has just sent out the press release detailing what games we will be getting today and there are some surprises there. First up we have Tecmo Bowl for the NES. This is an old school favorite of mine, and one that I'm sure to pick up for nostalgia's sake. For those who don't know Tecmo Bowl was an incredibly simple football game for the NES. You had minimal choices in plays, and non-licenced teams, but that didn't stop the game from being a blast! I can remember spending rainy Saturdays with my friends playing us some Tecmo. Also this week is Sonic Spinball from SEGA for the Genesis and Double Dungeons for the TG-16. No matter how you look at it, there is something for everyone in this week's update. So get out there and enjoy your VC titles! Another week, another great update to the US Virtual Console site! This week sees the release of 3 games. It seems that the hits just keep on hitting! For starters, Super Ghouls 'n Ghosts may be the best version of the great Ghosts 'n Goblins arcade series. I can still remember reading about this title in EGM and then seeing it on my SNES for the first time... simply mind blowing stuff. To continue the RPG flood Sega brings us the Sword of Vermillion. This is a fan favorite, and is actually a pretty decent RPG for the Genesis. There's also no forgetting NES classic Elevator Action. If you would like to stay upto date with all the Virtual Console Releases, why not subscribe to our "Latest Game Release" RSS feed? Drop that feed in your RSS reader of choice and you'll see when new games are added to the VC and our database. This week's VC update brings up 3 titles, including the mega-smash hit. The Legend of Zelda: Ocarina of Time. Now you can join Link on his quest to save the princess and bring peace to the world. Also showing up this week is Chew Man Fu for the TG-16 and Bio Hazard Battle for the Genesis. It's great to see so many TG-16 titles making it to the VC, even on weeks when we see a blockbuster release from Nintendo . I'm not familiar with Bio-Hazard Battle at all, but it looks to be another shooter for a service already ripe with them. They must be selling well to have so many on the VC. So get out there and have fun with your downloads. I know for a fact that I'll be playing me some Zelda tonight! Every form of entertainment has its artistic pinnacles. On Monday, Nintendo will make The Legend of Zelda: Ocarina of Time available for download in the Wii Shop Channel of the hot new Wii video game system. Originally released in November 1998 for the Nintendo 64 console, the game is widely considered by critics and industry observers to be one of the greatest video games of all time. The Legend of Zelda: Ocarina of Time inspired millions of players around the world with its in-depth game play, rich 3-D visuals and memorable adventures. It set the standard by which all other games have been judged. And now it's available once again, both for veteran gamers to relive their gaming glory days and for younger players to discover it for the first time. The Legend of Zelda: Ocarina of Time will be available for 1, 000 Wii Points when it goes live at 9 a. M. Pacific time on Feb. 26. Wii owners with a high-speed Internet connection can redeem Wii Points to download the games. Wii Points can be purchased in the Wii Shop Channel or at retail outlets. The Wii Shop Channel now boasts more than 55 downloadable classic games, in addition to the dozens of new disc-based games available for Wii. All that I can say to that is WOOT! Zelda:OoT will be here on Monday, and I for one can't wait. This is the version of Zelda that all others are held up to. I own it on the N64, I own it on that free pre-order bonus disc on my Gamecube, and I will own it on the Wii. Now since Nintendo dropped this bomb on us, I can't help but wonder what other games will be making it on Monday. So I ask you guys this, what game do you think you will see come monday? And better yet, what games would you like to see on the VC? A big hello to the visitors making their way here from Digg.com! I didn't expect to be listed on that site so soon, as things here aren't even remotely close to being ready! Oh well, that's what I get for soft-launching this soon. As for the site design, we chose a minimalistic design that would work both on the PC and on the Wii. The design is in a state of flux right now, so don't be surprised if it changes a bit. To follow up on a few comments on the Digg site. There will be reviews here as well, we are in the process of getting all of the big hitters done with the less then popular games coming up behind. I'm also planning on having VC listings from other regions as well, I did not have time to get that ready for my soft-launch. So UK viewers don't fret, you will find your info here soon as well. Otherwise, thanks for all of your comments and concerns. We will take them up and try to implement the best of them. If any of you out there would like to help us here at WiiVCDb.com please shoot us an email from the Contact form up top. Having more reviewers on staff can only be a good thing as Nintendo starts ramping up their release schedule. Oh, one other note. A whole collection of RSS feeds will be added soon. This week's VC update brings us 4 new titles to the Virtual Console. First up is Donkey Kong Country, this Rareware title made a huge splash due to its use of raytraced sprites instead of the more common flat pixel art based ones. People ooh'd and ahhh'd at the graphics, although the effect was a parlour trick. In the end this title turned out to be a decent, if not a bit too simplistic, platformer and is worth a play through if you haven't done so already. Also showing up today is a title from one of my favorite series of games, New Adventure Island! Also a side scrolling platformer this Adventure Island has you running, skateboarding and axe tossing your way to save your beloved princess. If that's not the plot of a good platformer, I don't know what is! You can pick up Streets of Rage and The Legend of Kage as well if you are into beat-em up style games. Streets of Rage being the better of the two. It's a strange thing to see a new game on all the major VC channels (save the N64 sadly), let's hope this keeps up! Hello and welcome to the Wii Virtual Console Database! We're proud to bring you this site as a service to all the curious Wii owners out there. Nintendo has been hyping the Virtual Console part of the Wii for quite some time now, and have managed to release some really great games for it since the Wii launched. When I first checked out the Wii Shop channel I couldn't help but notice that the game listings contained very little info. There was enough there if you were familiar with the game, but not nearly enough info for new customers to make an informed buying decision. It was that realization that brought this site to you. The Wii VC Database is a one-stop-shop to find info about all the released games, screenshots, reviews and links to other resources on the net. I wanted to bring this all together in one place, because who wants to surf around to find it? We are planning lots of features for further down the road as well, so you can rest assured that the Wii VC Db will be the ultimate site for your Virtual Console info. So check it out, poke around and let us know what you think. The Wii Virtual Console Database, WiiVCDb for short, is your one stop shop for information on Wii's downloadable retro-games service. The Virtual Console library features games from past generations that were originally played on consoles like the NES, SNES, N64, Sega Genesis, Sega Master System, Arcades and others. On our pages you'll be able to find release dates, screenshots, game details and some reviews.